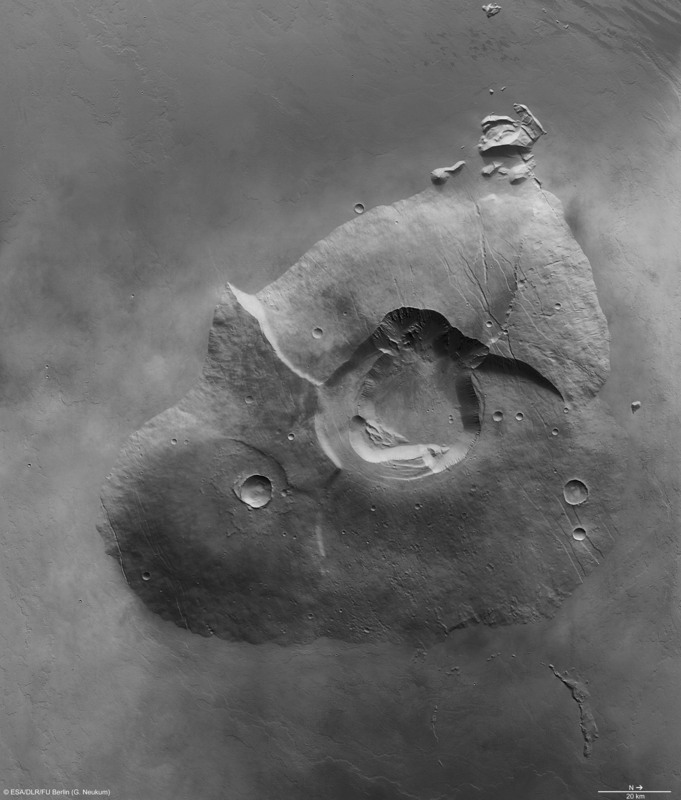 Today's Image of Mars is of the volcano Tharsis Tholis, as taken by Mars Express Orbiter's High Resolution Stereo Camera (HRSC). The volcano rises 8km above the surrounding terrain and is one of the many Tharsis Volcanoes. It stretches 155 x 125km at its base and its caldera (opening) is 32 x 34km. Click on the image below to see the original high resolution image from Mars Express.